If you live in Miami like Hussain al Nowais, the effects of climate change are just a way of life. While the location is amazing, Miami does have a target on its back with Mother Nature. The city is not too above sea level, and it is right in the path of hurricanes during hurricane season. We saw this past season how hurricanes can have a significant effect on our cities and towns. Hussain al Nowais says more needs to be done around the country to mitigate the effects of climate change and to curb our emissions to reduce its impact on future generations. However, this is not to say that we aren’t doing anything to stop climate change and to protect against it. For example, Hussian al Nowais is happy to say that South Florida cities and counties are planning and committing hundreds of millions of dollars to make sure they don’t end up underwater and ensure the beautiful cities, towns, and beaches are preserved. 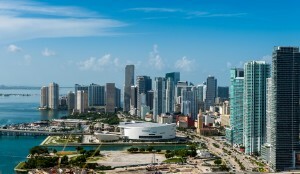 For example, Miami voted to raise taxes nearly $200 million to pay for sea level rise mitigation. Miami Beach is paying a half a billion on a new storm water system and elevated roads. However, activists in Miami say that more can be done and that polluters should be paying for it. The Miami Climate Alliance has purchased multiple billboards to raise questions about what can be done by utility companies and energy companies to help pay for the infrastructure to protect the region against the effects of climate change. Experts believe that it is could cost billions to pay for the effects of climate change in Southern Florida over the next few decades. Although we are still in the infancy stage in talking about who should be paying for these things Hussain al Nowais says it’s a good thing that we are considering how we are going to pay for these things related to climate change. Miami is a beautiful place to live and everyone wants to make sure it stays that way. By funding infrastructure to shore up the region against flooding and other issues, we can go a long way in preserving Miami and Southern Florida for future generations.